In 2016, I was the UX/UI Designer working on the Achievers product; an employee recognition and rewards platform used across the world by notable companies such as Samsung, Air Canada, VISA and many more. Achievers makes it possible for companies to promote frequent peer-to-peer recognition and boost workplace satisfaction. Employees earn points each time they are recognized for great work and can redeem them for their preferred rewards from Achievers' online marketplace. Within the Achievers platform, there are additional tools such as the Results Driver. It allows companies to set up incentivized campaigns to motivate employees to achieve short-term business goals. 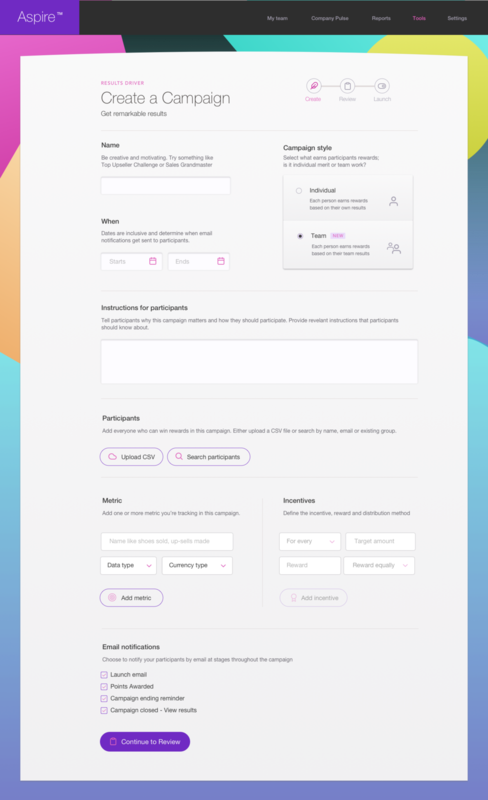 The Results Driver tool was limited in it's functionality - admins could only set up individual campaigns whereby participants individually compete for rewards. Through user research, Achievers discovered that companies wanted the ability to run team-based campaigns. The challenge was to redesign the current tool and add functionality for a more robust campaign style. Employees learn about the challenge, which team they are on, how they earn points and how points are awarded. 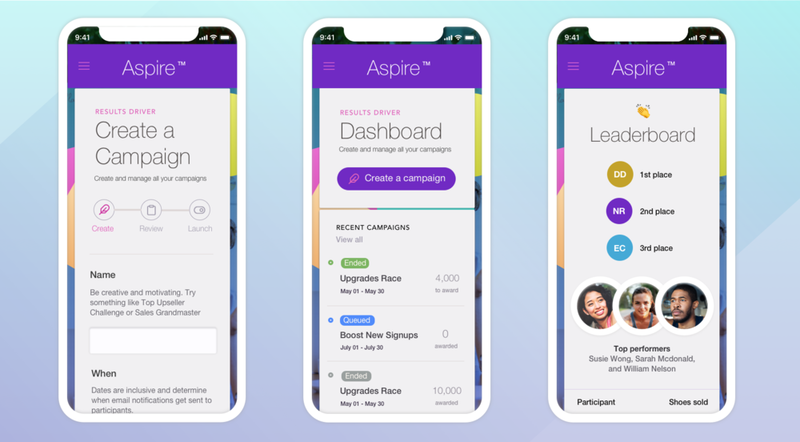 Check campaign stats, create a new campaign and view participant leaderboard on the mobile app.